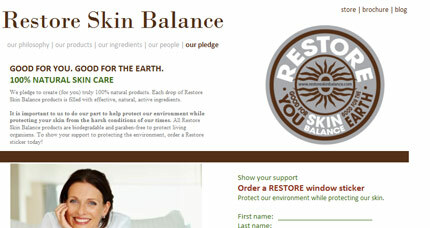 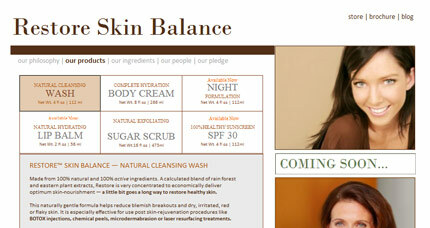 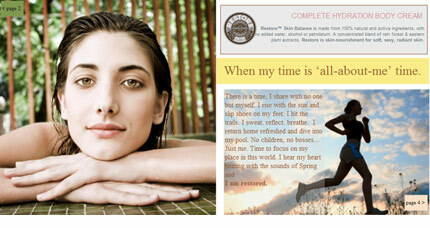 Restore Skin Balance complete skin care is total skin nourishment made from 100% natural ingredients. 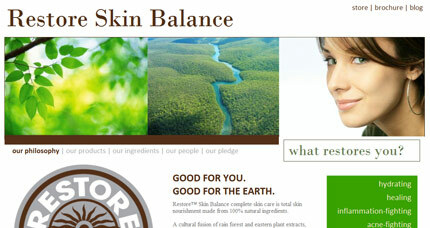 Its blend of rain forest and eastern plant extracts helps heal and rejuvenate skin to a natural, glowing complexion. 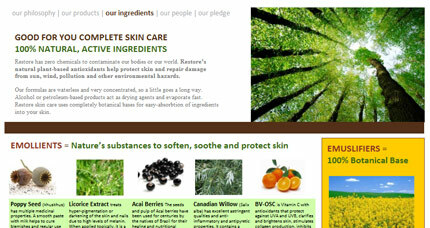 With no added water, no alcohol and no petrolatum, Restore’s concentrated botanical blends are perfect for use post skin rejuvenation procedures and for men and women who desire smart products formulated to help them live in balance with nature.